Medical sales is one of the best paying industries, offering a variety of areas for sales representatives to thrive. And there’s been a lot of change in compensation in the biotech world, for the better. 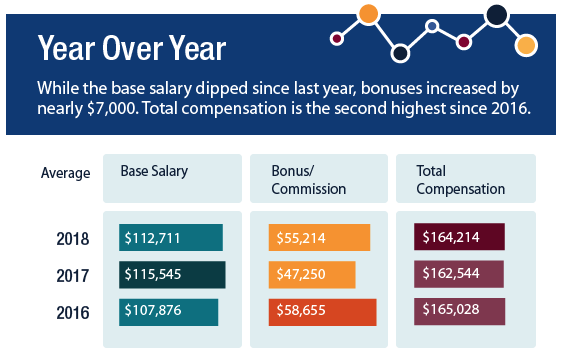 According to our 2018 Medical Sales Salary Survey, biotech sales did see a drop in base salary, but bonuses and total compensation jumped up since last year. In fact, the average total compensation in 2018 of $164,214, is the second highest in the last three years. Respondents who were employed in biotech sales totaled 243. Most of them (84 percent) reported working as field sales representatives as well as (84 percent) were employed by manufacturers. The majority of respondents have acquired significant amounts of experience — 60 percent of them have worked in biotech sales between six and 20 years. 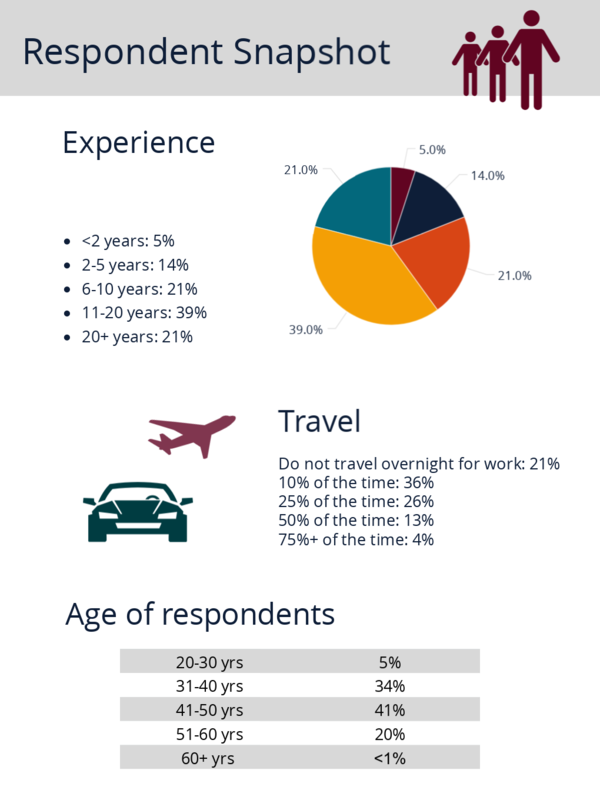 Additionally, 79 percent have traveled at least some of the time during their workday. In the world of medical sales, there’s a lot of competition and it’s not just difficult for job seekers to gain traction. Many seasoned professionals in each field are also working hard to maximize their earnings. Biotech sales ranks among the top three for total income potential in medical sales, behind surgical device and medical equipment. Advances in biotech continue to provide potential for improved solutions in the medical world. This yields more opportunities for sales professionals to grow. Bonuses, base salaries, and total compensation steadily increase as representatives put more years behind them in their career. 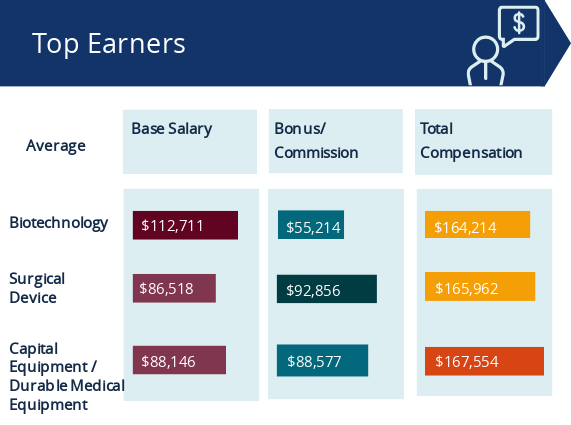 In fact, those who have been in biotech for over two decades earn 68 percent more in average total compensation than those who have just under two years experience. Leadership skills pay off big in all areas of medical sales, especially biotech. Those in sales management earn over $20,000 more in base salary compared to sales representatives. Plus, their bonuses and total compensation are greater. When it comes to the highest average total compensation, large companies win big, offering $169,137. However, those who prefer to work in smaller work environments still earn a great living. In fact, small companies offer the highest average base salary ($119,154), and medium companies give the biggest average bonuses ($62,558). The vast majority of respondents work for manufacturers, which pay the most in average base salary ($115,211). However, average bonus and total compensation are both bigger with distributors. Service providers top manufacturers in average bonus and average total compensation, as well. The more representatives travel, the more they earn in all three categories — base, bonuses, and total compensation. In fact, those who travel just 25 percent of the time earn an average total compensation of $168,098. This is over $20,000 more than what those who don’t travel earn, which is $148,000 in average total compensation. 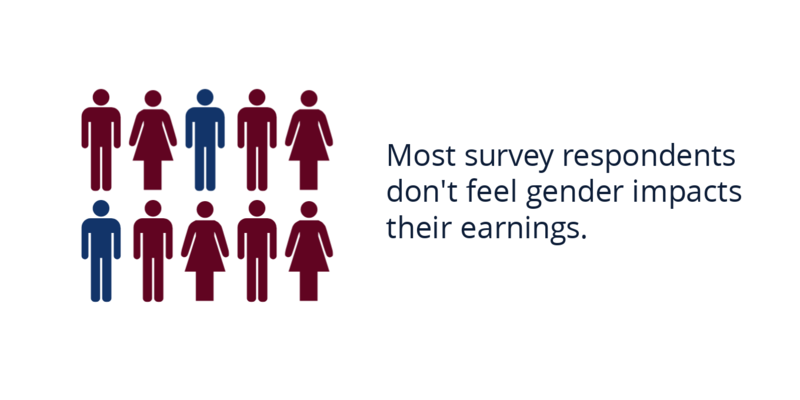 Nearly eight of 10 biotech sales respondents say they don’t feel their gender impacts earnings. As a matter of fact, only 17 percent say they believe their gender negatively impacts their income. However, the pay gap is undeniable. Females earn an average total compensation of $148,060, which is significantly less than their male counterparts, who earn $174,007. What’s more surprising, while males earn over $7,000 more than females for their base salary, the difference in average bonuses is even greater. Men take home an average bonus of a whopping $62,511, whereas women earn an average bonus of $43,494. Not only are biotech sales representatives some of the top earners in medical sales, they’re also the happiest. In terms of income satisfaction and job satisfaction, they share praises for their career — 86 percent say they’re somewhat or very satisfied with their incomes, and 88 percent are somewhat or very satisfied with their overall jobs. Biotech sales reps do not take their opportunities for granted. Between high base salaries, an opportunity for earning big bonuses, and the perks and benefits associated with the job, there’s a lot to love. 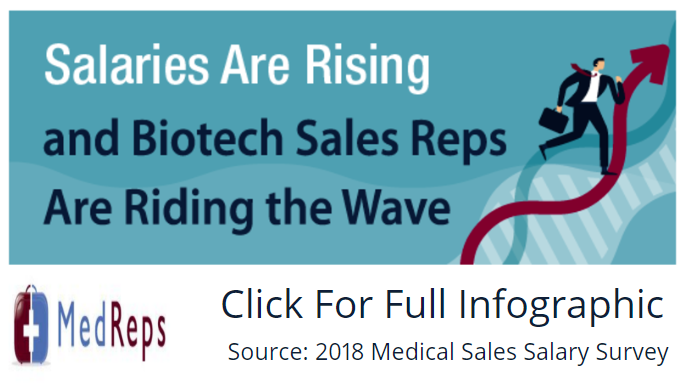 If you’re interested in medical sales and you want to stay on the forefront of emerging technologies changing the way medical professionals save lives, biotech sales is perfect for you.